IMPORTANT: The Fallback embed should only be used if the Standard inline embed won't work on your website for some strange reason. Please tell us if that happens! 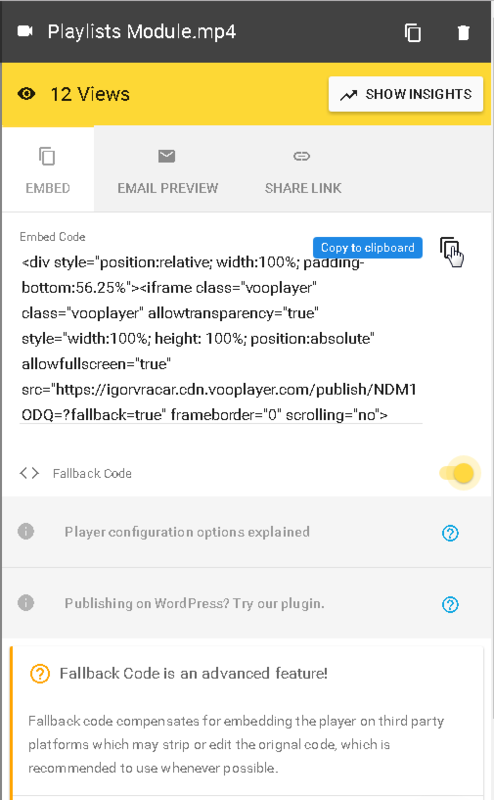 Fallback code compensates for embedding the player on third party platforms which may strip or edit the original code, which is recommended to use whenever possible. 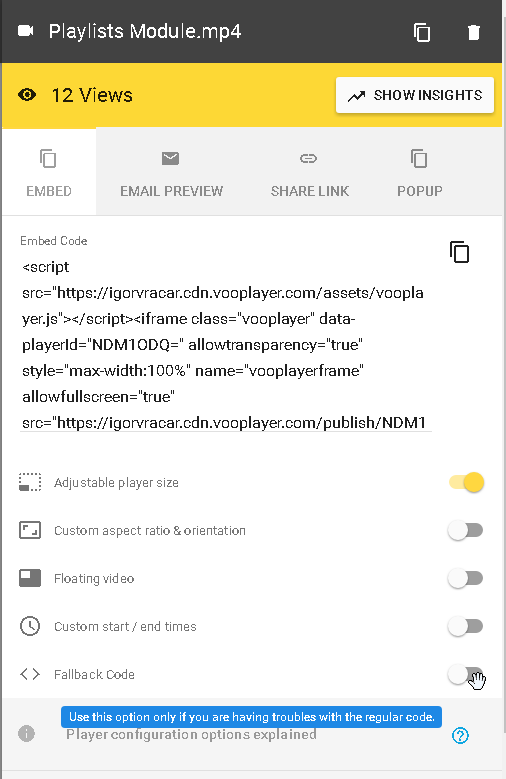 The Embed Code is a code snippet that you can use to add vooPlayer videos to your pages! Keep in mind that when Fallback option is turned on, some of your features might not work since they are turned off. These features include, popup, custom size, floating video and custom start/end times, however, all regular video features will work fine.